COMING IN 2017-- END OF THE LINE, MONTANA! 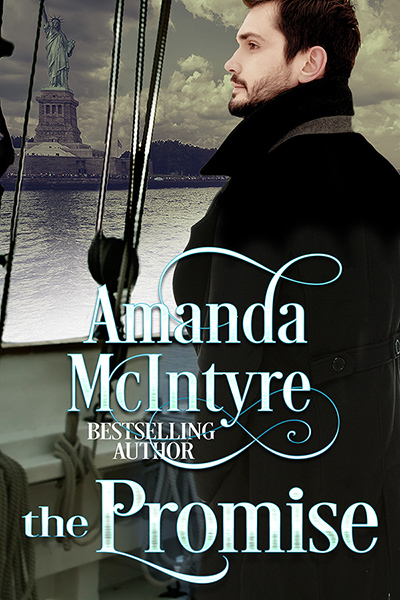 MEET THE RUGGED MEN OF THE KINNISON LEGACY AND THE FORMIDABLE WOMEN WHO WILL TAME THEM! When tragedy strikes the lives of three young boys, they are placed under the care of wealthy cattle baron, Jed Kinnison. 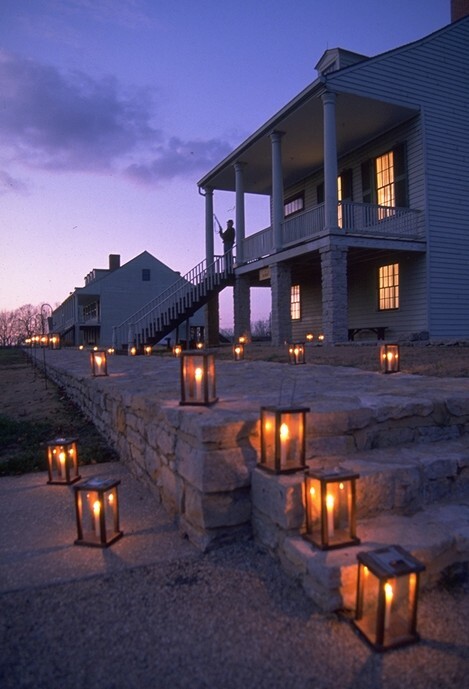 He raises the three as his own, leaving everything to them, including a special dream he had for the ranch. Readers wanted more of the Kinnisons, wanted to learn more about the cabins being built by Rein to fulfill his Uncle Jed Kinnison's dream. A place where people could visit--where, through hard work and the beautiful Montana country. healing and second chances could take place. She wants a baby. NO RULES. NO COMMITMENT. NO STRINGS ATTACHED! END OF THE LINE, MONTANA! A brand new related series featuring the lovable folks of the quaint little once-mining town who live, work, love and play in End of the Line, Montana! 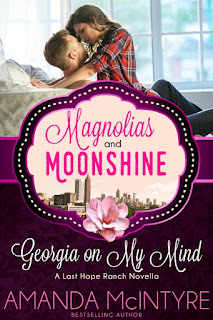 A failed spring break affair leaves city girl, Anna Worthington and country boy, Cole Tanner convinced that love at first sight isn’t possible. Now, a decade later, fate brings them together on New Year’s Eve with the challenge that sometimes a second chance is all the heart needs. What does Cole have in common with End of the Line, Montana? It's been years since Justin Reed has stepped foot back in his hometown of Atlanta. But with a class reunion and a goal to ease tensions with his twin brother, he must now face the woman who once broke his heart--but has never left his thoughts! SHARING CHRISTMAS TOGETHER WITH READERS! The holidays bring people together and inspire romance. What better time for two bestselling authors to team up to bring you both! This month, E.E. 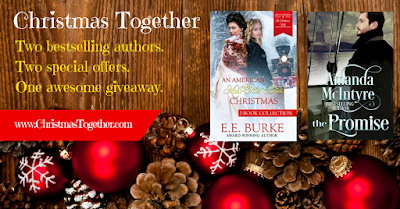 Burke and I have joined together to offer you a great price on our Christmas romances. 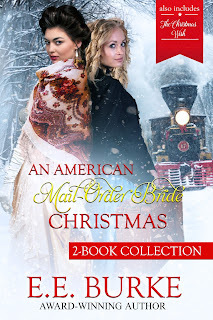 For less than the cost of a cup of coffee, you can curl up by a crackling fire with my heart-warming story of an Irish immigrant and his son's first Christmas in America, and E.E's #1 bestselling Christmas collection about a mail-order bride and a matchmaking experiment gone awry. We're also offering readers the chance to win some great prizes in our special Christmas Romance Raffle. Our way of saying, "Thank you." I’ve always had a passion for taking ordinary characters and placing them in extraordinary circumstances. Whether in my historical or my contemporary romance books, I love watching my characters become the heroes and heroines of their own stories. In THE PROMISE, I stretched back to my own roots of a Scottish-Irish heritage—Black Irish, my mother called it—and thought of what hope and dreams those living outside America might have had. What would it have been like to sail thousands of miles to a strange land? 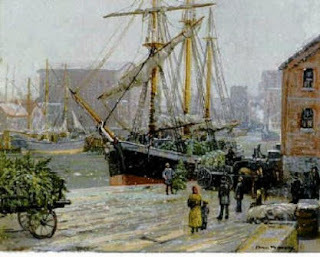 Inspired too, by the painting called The Christmas Ship-the story of a young Irish immigrant who’d made a promise to his dying wife to bring their son to America and start a new life began to take shape. Set at Christmas in New York, it follows the struggles of Brady and his son as they adjust to the new land, and the unconventional woman the two meet by fate on the day of their arrival. 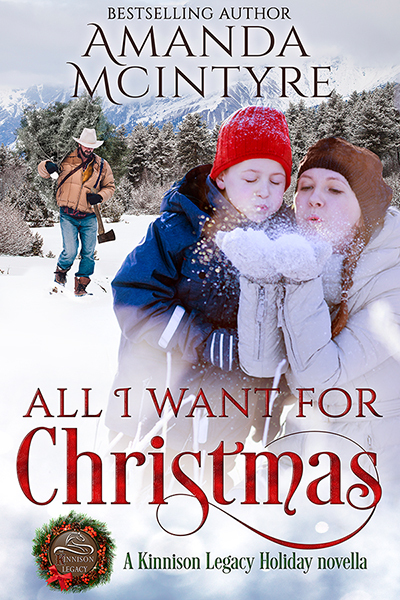 It is a story of hope, of second chances, family, struggles, and the magic that only the love at Christmas can bring. 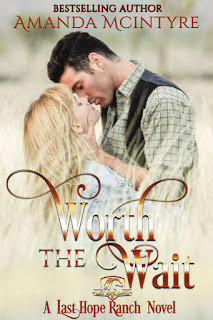 Brady McCormick made a promise to his young wife the day she died—to follow through with their plans to take their son to America and begin a new life in the land of opportunity. Now in New York, living in charity with a distant uncle, barely scraping by, Brady is unsure he will be able to uphold that promise, much less that he will ever be able to quell this loneliness eating him inside. Saran Reichardt knows that she is unlike most women—headstrong, tenacious, she is dedicated to teaching, believing she has no need of a man to care for her, until an accidental encounter with a stormy-eyed Irish immigrant and his young son changes her perception of what need really is. The port authorities on Ellis Island detained them for hours, first holding them on the ship, then in boarded stalls, shuffled like cattle through registration. Next, they were taken to a special area where their hair and teeth were checked for lice or other abnormalities. Through it all, Brady believed his beloved Mary had watched over them. Much to Brady’s delight, authorities allowed them to retain the name of McCormick, as it was easy to spell. Yet many were forced to alter their names for ease of registration. He kept a firm grasp on Danny’s hand as they rounded the corner of the great brick building. A bitter wind assaulted him and nearly snatched his hat from his head. He had no idea what day it was, or what time, except that it was night. Small frozen pellets grazed his cheeks, falling from the inky black sky. Tears stung Brady’s eyes. "Aye, your ma would have loved this, Daniel. She’d have looked on it as a great adventure." He clamped his arm around his son’s neck and drew him to his side. "This is what she wanted most for you, Daniel." "Is this what you wanted too, Da?" Daniel stared at his father as though pondering his answer. He smiled, the way a child does when they know their parent is struggling inside. "Where is Uncle Stephen?" Daniel asked, with ease changing the subject. Brady regarded his son’s strength with pride. He swallowed back a lump in his throat and searched above the crowd for a man with a large sign. “He said he would meet us at the corner.” Brady scanned the sea of humanity huddled together, pressing forward against the bitter wind. Did they all have family waiting for them. "Say here, chap. Can you retrieve our bags and take them to our carriage? It’s right over there." Brady heard the man and pulled Daniel closer as he searched for Uncle Stephen. "Excuse me, young man, but I’m speaking to you." His weary gaze landed on the face of an angel who studied him with blue-violet eyes, the same color as her refined wool cape. For a moment, Brady lost his ability to think, much less to speak. He blinked, realizing he had been staring at her. His eyes darted to the elderly gentleman standing beside her. "Father, it is clear that this gentleman and his son are not peddlers looking for work," she said, holding Brady spellbound with those eyes. "My apologies." The older man tipped his derby and turned his attention to finding a dock porter. "Have you just arrived in America?" His angel regarded him with a pleasant smile. Her voice held the clarity of one accustomed to fine linens and expensive china. A tug on his arm broke him from his odd trance. "My son and I have just arrived from Ireland—yes." As an afterthought, he tore the boy’s cap off his head and his own in one quick sweep, suddenly self-conscience about his thick brogue. The angel turned her attention to Daniel, her deep blue cape swirling as she leaned down to address him. "And do you celebrate Christmas where you come from?" Read more about E.E. 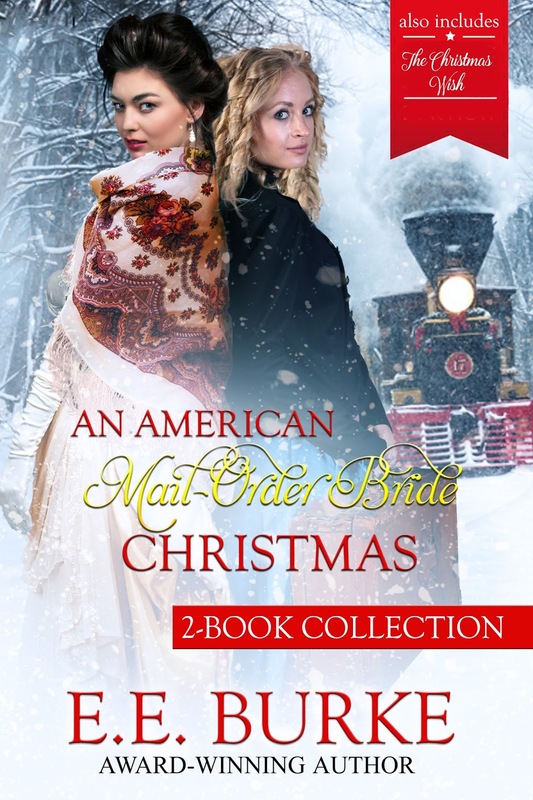 Burkes American Mail-Order Brides series! E.E. Burke's inspiration for these books comes from her love of A Christmas Carol by Charles Dickens. These books are totally different stories, but the themes are similar. Themes that define the true meaning of Christmas: family ties, hope, faith, a spirit of compassion and generosity, and above all, love…the kind of love that shines through the darkness of our circumstances, even the darkness in our hearts. Victoria, Bride of Kansas was part of an unprecedented project with 45 other authors, the American Mail-Order Brides series. For Victoria's story, my inspiration came from photos of real mail-order brides and an advertisement written by a storekeeper. Santa’s Mail-Order Bride is the sequel to Victoria. I couldn’t let her meddling sister-in-law remain a spinster. Who better to pair her with than her brother's fiercest competitor? The two books are set in the 1890s in Fort Scott, Kansas, and feature characters from my first novel, Her Bodyguard (set 20 years earlier). I had so much fun learning about the history of this historical Western town and included some of the hardy pioneers who settled here. I hope through these books you’ll come to love Fort Scott as much as I do. She tasted of peppermint and tea, a delicious combination, somehow sweet and seductive at the same time. Holding her tight, Sum sampled the flavor on her lips, which softened and parted beneath his. He longed to linger, to feast…but not here in front of a giggling dressmaker. He’d only intended a brief kiss, just enough to let her know what it could be like between them, as well as to make it clear to the rest of the world that he’d laid claim to her. Regretfully, he lifted his mouth. Perhaps. Coming to a decision as important as marriage within a few days was madly spontaneous, even for him. He hoped he wouldn’t regret it, but at the moment he couldn’t dredge up one ounce of caution. Along with books at special discounts, we're also offering you a chance to win a Kindle Fire and a virtual Christmas stocking filled with SPECIAL TREATS! Leave us a comment, scroll to bottom of post and click on Comments. Our books revolve around three wishes and a promise. What wishes do you have this Christmas? Do you have any promises for the New Year? From both of us to you and yours, we wish you a Merry Christmas and promise to bring you more romance in the coming year. START YOUR HOLIDAY WITH ROMANCE! FREE BOOKS! OUR WAY OF SAYING THANKS TO READERS! 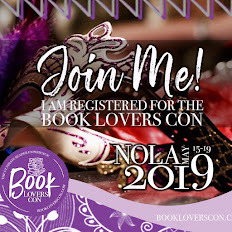 You're the winner of one of my backlist eBooks! 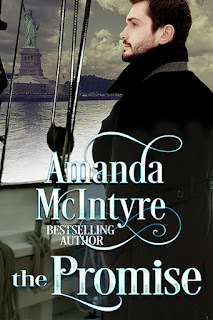 Please email me amandamcintyre.author@gmail.com with your book choice! 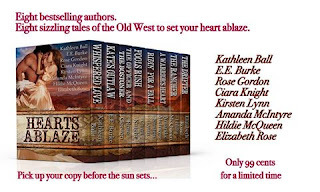 Eight blazing historical stories by eight authors! 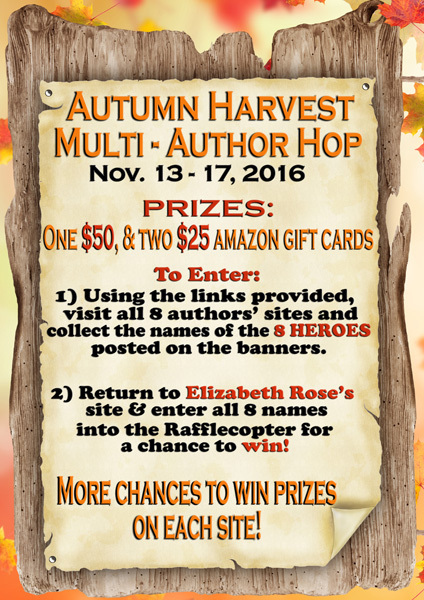 JOIN THE AUTHORS OF HEARTS ABLAZE FOR A BLOG HOP SCAVENGER HUNT! 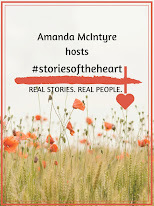 In A Warrior’s Heart, best-selling author, Amanda McIntyre brings to life the passionate story of a bold Cherokee warrior and the brave white woman he rescues. Now, faced with the unknown they must rely on each other to survive. 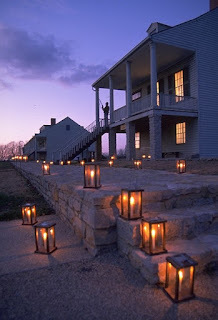 A new teacher, Sarah Reynold’s sets out to meet her father in the untamed territory of 1837 Georgia, where she is to become a teacher for children of the white settlers. While her father claims all is peaceful between the settlers and the Cherokee, there is much left unsaid. When she is saved from certain death by White Eagle, a bold Cherokee warrior opposed to his tribesmen renegade attack, he, too, is injured. As he fights to survive, they are thrust into the turmoil of the forced emigration of his people. Thrown together by circumstances not of their own making, Sarah and White Eagle overcome betrayal and tragedy to find a love strong enough to bring nations together. COLLECT ALL THE HERO NAMES WITH EACH BLOG AND HAVE MORE CHANCES TO WIN! DON’T FORGET TO GET YOUR COPY OF HEARTS ABLAZE. EIGHT BOOKS FROM EIGHT BESTSELLING AUTHORS, ONLY 99 CENTS! Gratitude is a big part of my life. And it's never more apparent then this time of year as we enter the holiday season--so, as an extra treat on this hunt, I'd like to show my thanks by giving away READER'S CHOICE of any of my backlist eBooks! Leave a comment here and tell me what you're grateful for. One winner will be chosen Nov. 21. Please be sure to leave your email addy as well. OCTOBER 25!! RELEASE DAY & TRICK OR TREAT WITH THE AUTHORS! GOING HOME in the SAPPHIRE FALLS KINDLE WORLD!! TRICK OR TREAT WITH THE AUTHORS!! THEN...go trick or treating at each authors cyber home to win fun Treats!! Come visit Sapphire falls Halloween Fest!! Sometimes your hearts desire is never far from home. Kasey Seagren left Sapphire Falls in search of finding her fame and fortune through her music. Tragedy at home forces her to return to face her past and in going home, she discovers that maybe what she needs has always been in her own backyard. 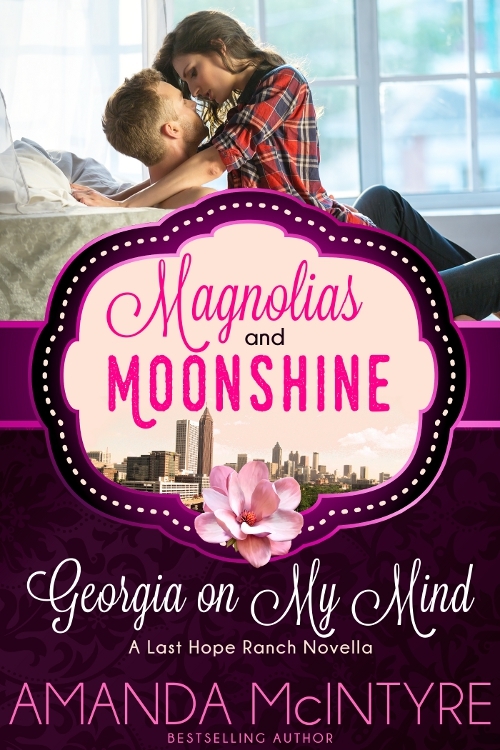 A home-grown country boy, Cooper Evans had always placed home, family and his friends as a priority in his life. 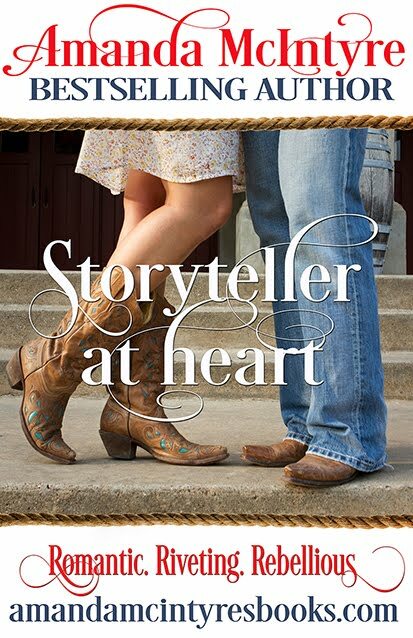 But his heart was stolen years before by a young woman with a gypsy’s heart and he never fully recovered. Now she’s back and he’d determined to end her wandering and prove that in his arms is where she belongs. Amber McCormick has recently graduated college and is taking a little holiday to visit her best friend, Josie in her new home of Sapphire Falls where she has recently purchased a house to fix up and flip. As a bonus, there’s a Fall Festival going on, and it promises to be a lot of fun. 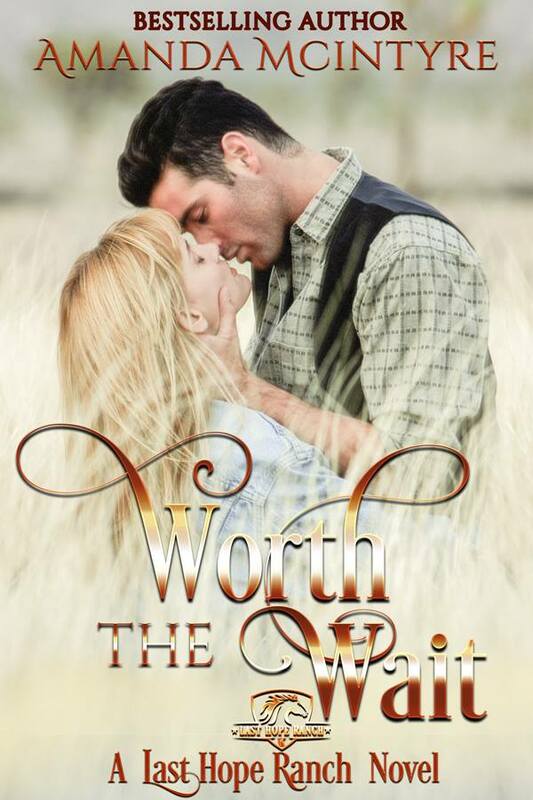 Cole Price has been living in the outback of Australia and would be happy to never come home, except for the fact that he misses his little sister and wants to help her out with her latest flip, in small town Nebraska. Mike Atkins is the Sapphire Falls High School football coach who has become smitten with the new student teacher. Abby Sanders is the new student teacher in Sapphire Falls who just needs to finish this semester so she can move back home to Virginia. Max Wolff, our hero, is an investment banker who left Sapphire Falls after high school and never looked back—until he invites his ex-wife, Honey Myers, and his two children to the annual Halloween Festival. 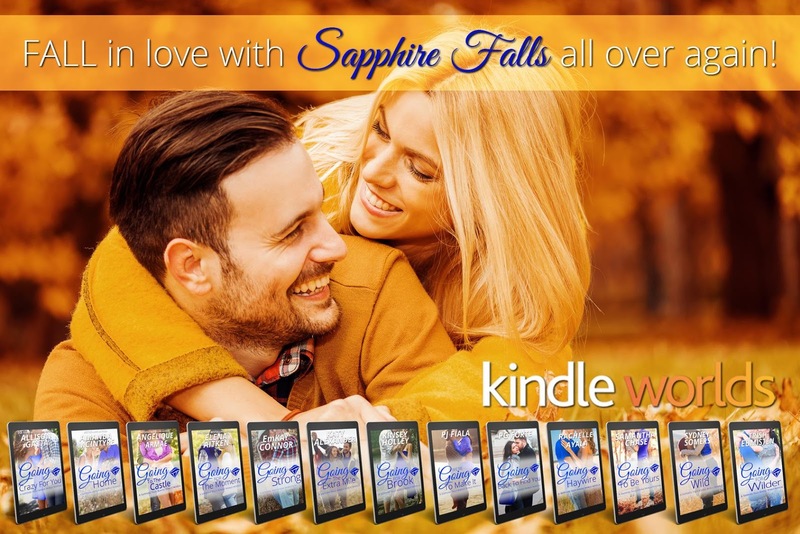 He’s counting on some of that Sapphire Falls love magic to reignite his love affair with Honey. Will Campbell was born and raised in Sapphire Falls and he works for Sapphire Falls Auto Care. Serena Hughes is from Lincoln, NE, but her cousin Peyton lives in Sapphire Falls. And it’s through that connection that Serena has been coming to the local festivals for the last three years. She’s kissed Will at each of those festivals while he’s worked the kissing booth and she’s finally ready to formally meet him. TV producer Ember Jones-Roseman is under a tight deadline to get Ford Slater, six-time national BBQ cook off champ and Montana cattle rancher from Montana to Atlanta in time to audition for a nationally syndicated cooking show. When the travelers pass through Sapphire Falls where the Halloween festival is underway, he figures it's the perfect opportunity to show Ember how to slow down and enjoy the ride. Book 1 in The Natural Love Series, featuring sisters Ember, Sierra, Brooke and Windy. It’s been ten years since Jackson walked away from the only woman he ever loved. Maybe it’s time he did something about that. Jackson Wilder is a third generation Sapphire Falls resident who helps run the family business, Wilder’s Plumbing. No job is too wild for them! Like Jackson, Jillian Somers has lived in Sapphire Falls her entire life. In fact, there’s no where else she’d rather be, especially not when the Fall Festival rolls around. Levi Jacobson took up residence in Sapphire Falls after leaving the Army. He started a security business, LJS. Sage Reynolds comes to Sapphire Falls to work for LJS. Because even a vampire deserves a second chance. Vampires Jason Cook and Liz Petersen were born and raised not far from Sapphire Falls. In fact they met each other on the banks of the Niwadi—the river that flows through town. But that was back in the early part of the nineteenth century, before the town was even founded. Sapphire Fall’s first ever Halloween Festival offers Liz the perfect opportunity to visit the town, make a little traveling money working as a fortune teller, and sneak in a small snack or two; but she’s counting the days until she can leave Nebraska forever. And Jason is happy enough living the big city life in San Francisco, until trouble threatens the girl of his undead dreams and sends him back to Sapphire Falls to find her. Brook Lyall was born and raised in Sapphire Falls; she’s lived next door to Bernie Cayne all her life. Now twenty-five, Brook works as a motorcycle mechanic part time for Tucker Bennett at the Raphael Williams Castillo Memorial Raceway (his indoor dirt bike track) and part time for Dylan Maxwell at Sapphire Falls Auto Center. Aiken Kavanagh’s only been in Sapphire Falls for four years, but he and Brook have spent every minute of it annoying the hell out of each other. It doesn’t help that Aiken was good friends with Brook’s father, or that he thinks he has a duty to look after her. Angel Lancaster needs a little downtime to get out from under her father's overprotective nature and rules about using magic. She's in town to visit her grandmother, a longtime resident of Sapphire Falls, and her best friend from college, but like the rest of her family, trouble is never far behind. The hero, Cade Marshall has lived all his life in Sapphire Falls, but always felt like something has been missing--until he meets Angel.